I've shared this quote here before, but it's always worth sharing again! 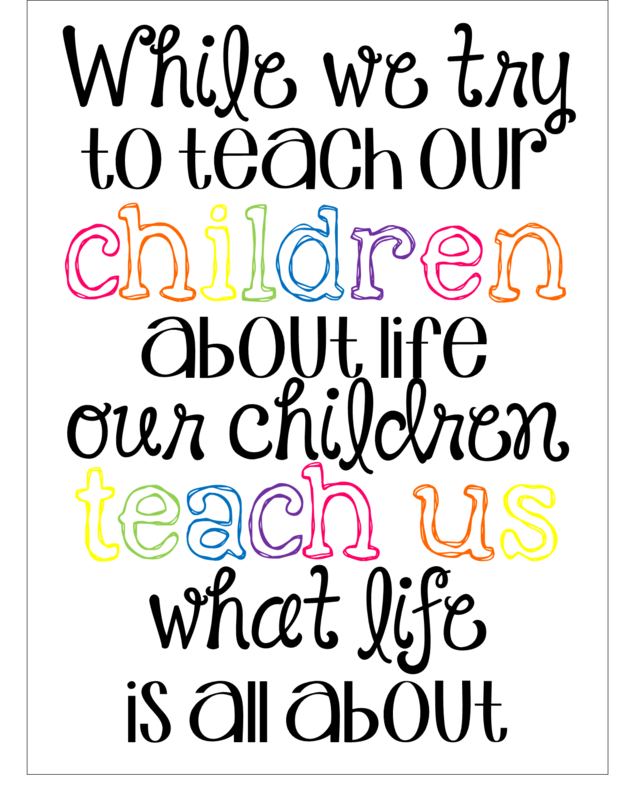 This is my all-time favorite teaching quote because it helps me keep my priorities straight and remember to follow the children's lead. I always tell the teacher I work with that you should be able to learn as much from your students as your students learn from you, and this quote is a constant reminder of that! Very nice quote. I like this blog and I will look forward to reading more stuff.